Tiger Beer giving away 50 pairs tickets to Tiger #UncageMusic Block Party !!! #Uncagemusic, the music and arts platform from Tiger Beer, is returning to the stage this year with a full lineup of events aimed at showcasing the best audiovisual talents from Malaysia and beyond. Taking in music festivals, a series of hosted shows, sponsorships, and a support network for upcoming local artists, #Uncagemusic promises a packed calendar for Malaysian fans of music and art. Building on the success of Tiger Translate and Tiger Jams, #Uncagemusic will continue to offer unique collaborations between the music and arts scenes to deliver immersive, integrated audiovisual experiences unlike any other. #Uncagemusic will first take the stage at Urbanscapes 2017. Not only is Tiger Beer the official beer sponsor for this renowned music festival, it will also be hosting the finale of the festival on Sunday 21st May – at the Tiger #Uncagemusic Block Party. Headlining the #Uncagemusic Block Party are Canadian electronic double act Crystal Castles, supported by South Korean indie rockers Hyukoh. In addition, great audiovisual collaborations between artists and musicians such as Tiger Jams faves Rozella, Kenji Chai, Ryotjones and more await fans throughout the full-day party at The Row, Kuala Lumpur. Music and art lovers who want to join the fun can win one of 50 pairs of tickets by taking part in a contest on the Tiger Beer Facebook page. There will also be 20 pairs of tickets to be won in the participating outlets in The Row block party on 21st May itself. Next on the bill is a series of shows featuring great international, regional, and local acts – the #Uncagemusic Series, at The Bee, Publika. 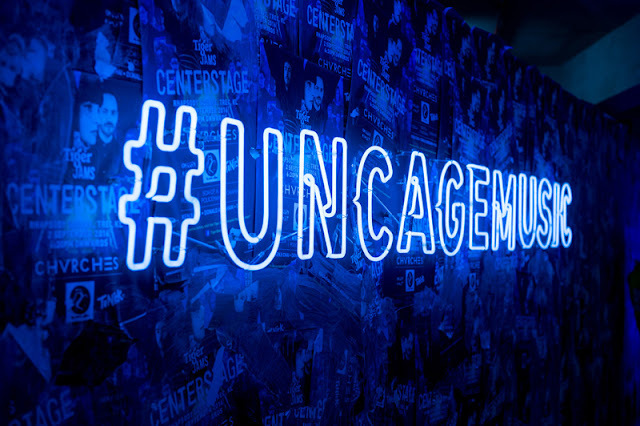 Taking place several times throughout the year, the #Uncagemusic Series will see international artists share the stage with some of the best homegrown bands. Fans should keep an eye on Facebook for further details. The Bee also plays host to the legendary Upfront series this year, with Tiger Beer returning as official beer sponsor. Known for bringing the hottest live acts from around the world to Malaysia, Upfront is one of the best places to catch great live music, while enjoying an ice-cold bottle of Tiger Beer.